EAST JORDAN, MI--(Marketwired - October 13, 2014) - Launched in conjunction with National Popcorn Popping Month, Michigan based inventor Mike Baxter has revealed the Popcorn Ball. 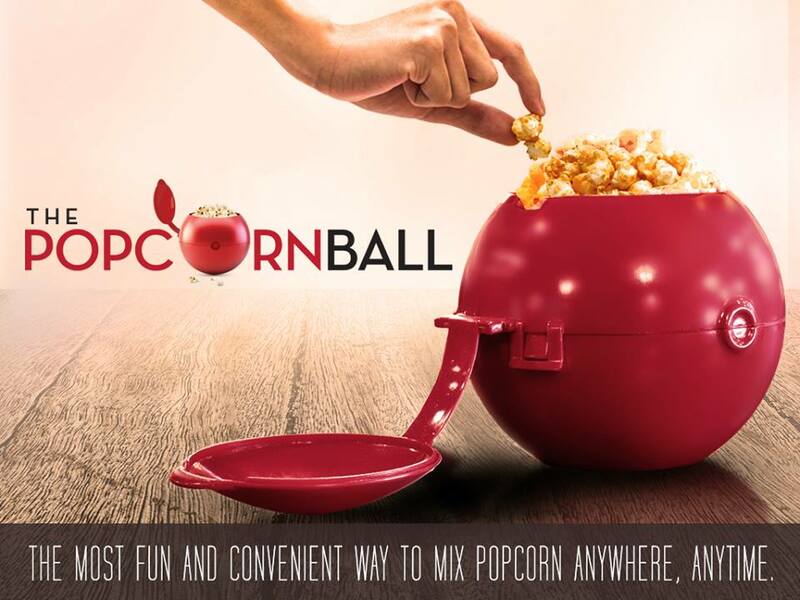 This new product is the ideal popcorn accessory to take to movie theaters, ballgames, entertainment venues and a range of other locations, or just to use around the house. The first 2000 campaign backers will get their own special seasoning from Kernel Season's Popcorn Seasonings in some of their most popular flavors -- White Cheddar, Ranch, and Kettle Corn. 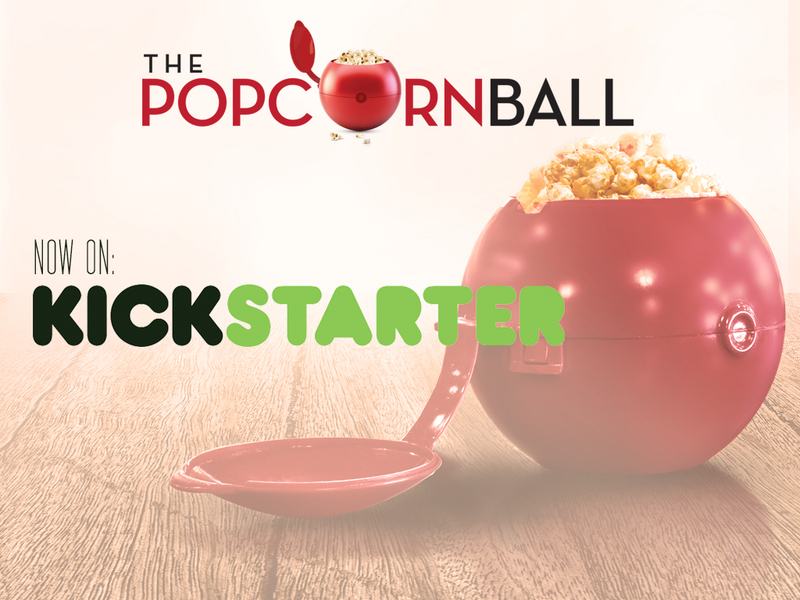 Visit the Kickstarter page, which is currently running at https://www.kickstarter.com/projects/popcornball/the-popcorn-ball. The Popcorn Ball is a lightweight and highly durable popcorn container that can easily be taken anywhere. The unique design allows users to easily mix an array of popcorn toppings in a mess free manner, boosting taste and increasing the popcorn enjoying experience considerably. Using the Popcorn Ball is as simple as placing popcorn in the sphere, adding any desired toppings, closing the lid, spinning and then enjoying. Mike Baxter explained, "The idea for the Popcorn Ball was derived from everyday events that happened with my family over a 3 year period. It just goes to show, you never know what may come from just living life!" 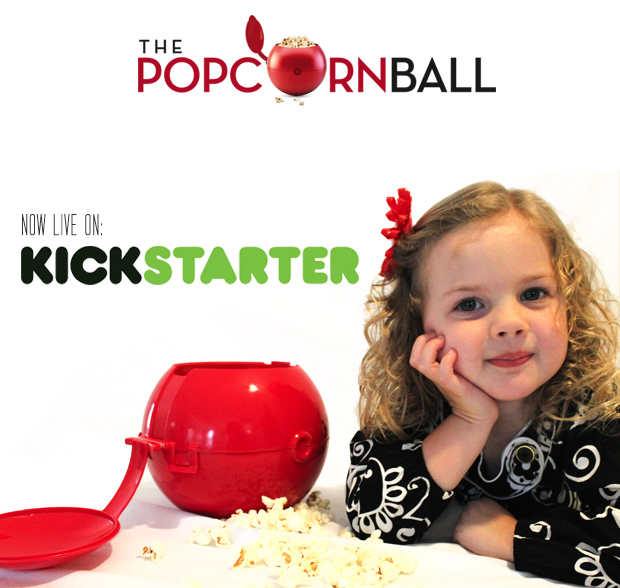 The 7.5-inch Popcorn Ball holds an impressive 15 cups (120 oz.) of popcorn and is large enough to accommodate an array of other food items. Additionally, it can be used to flavor other foods as well and is only limited by user's imaginations. Baxter pointed out, "I've spent years studying the concession industry and the popcorn market and there is truly nothing like it. We've taken a simple idea and built a robust and effective solution. If you like popcorn, you will love the Popcorn Ball." The Popcorn Ball also has a unique sphere shape that can be directly related to a variety of design possibilities. It can easily be molded to look like a baseball, basketball, and/or soccer ball and is ideal for concessions at collegiate and professional sporting events such as the MLB, NBA, NHL, NFL, and the MLS. Logos and other images can be placed on the product making it an exceptional advertising and market platform. Baxter added, "We are looking forward in working together with movie theaters like Regal Entertainment Group, AMC Entertainment Inc. and Cinemark Theaters. We have future plans to obtain licensing rights to film studios such as Disney, Marvel, Lucas Films, Paramount, DreamWorks, and create Popcorn Balls of favorite movies like Star Wars, Frozen, Cars, Spider Man, Transformers, TMNT, the list goes on and on." Mike Baxter, 32, is father to a 2-year-old daughter, a 3-month-old son and an amazing wife. The idea of the Popcorn Ball was derived from everyday life events that happened over a 3-year period from his wife making Chex mix in the kitchen to rolling a ball around 2½ years later with his 18-month-old daughter. Along with raising two young children and a 50+-hour workweek, the Baxter family has managed to continue chasing the American Dream. They now need the support of popcorn lovers everywhere. You can do just that here: https://www.kickstarter.com/projects/popcornball/the-popcorn-ball.